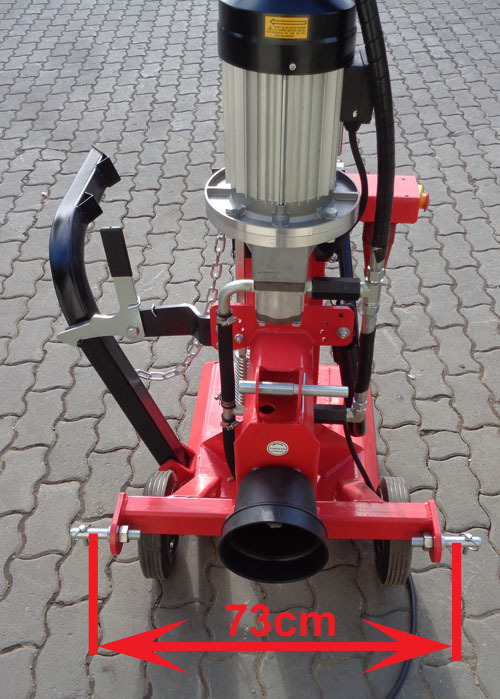 The two-stage professional hydraulic pump brings the full splitting pressure as soon as splitting wedge meets resistance. 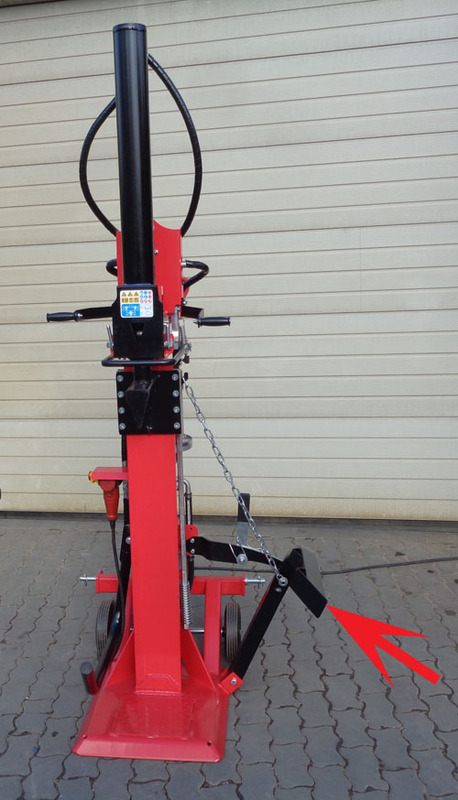 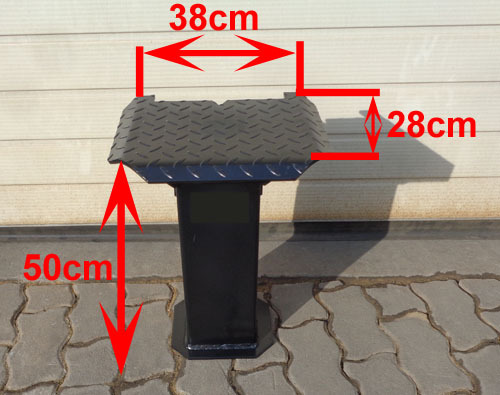 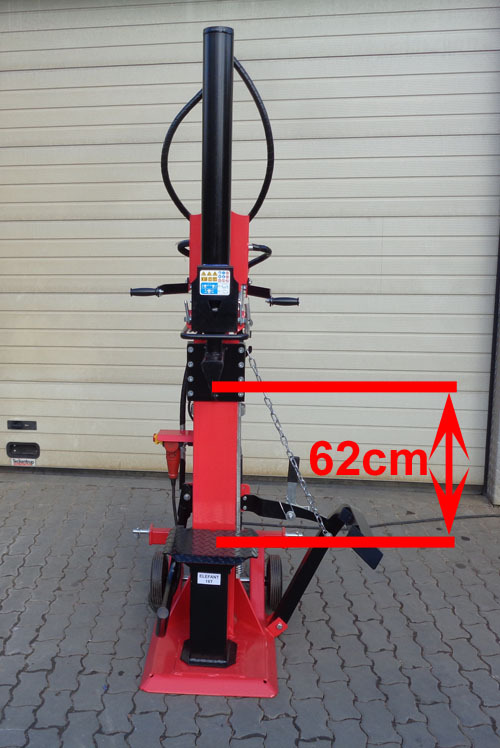 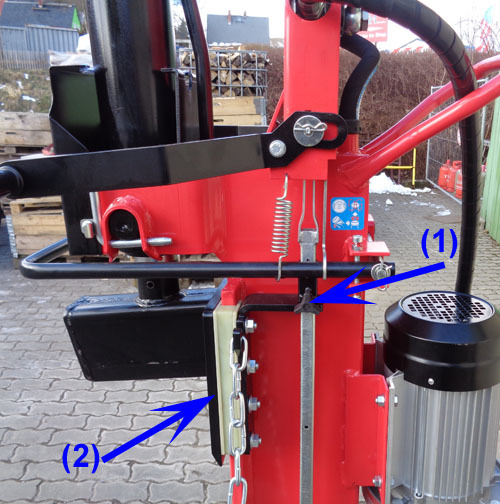 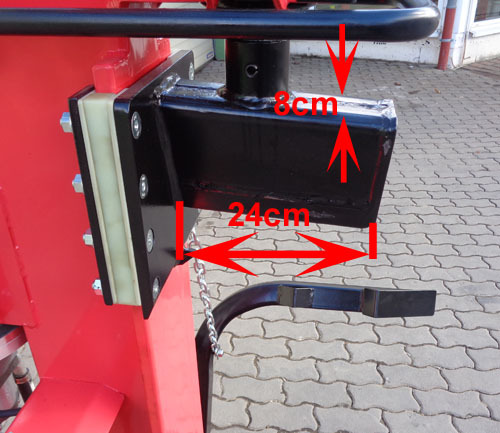 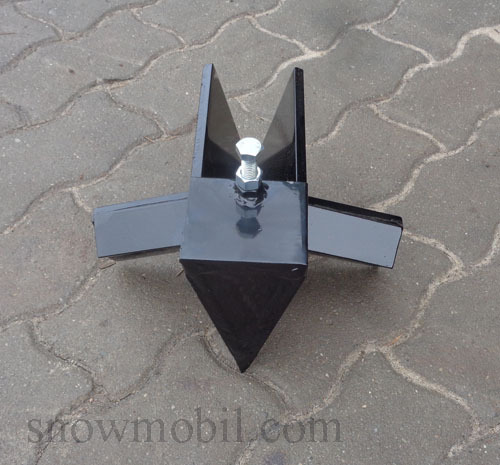 This log splitter can also be attached to KATI or adapter to KATII. 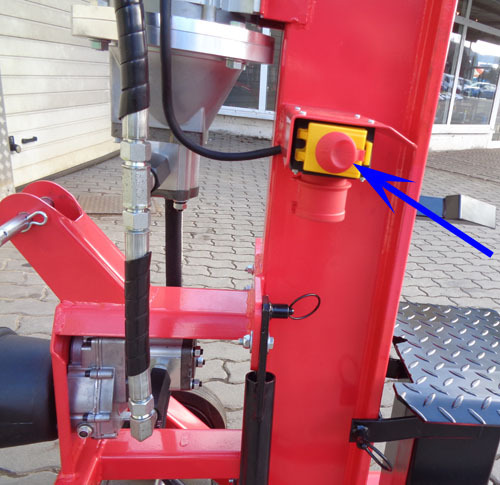 Tractors from 20 PS can operate this splitter. 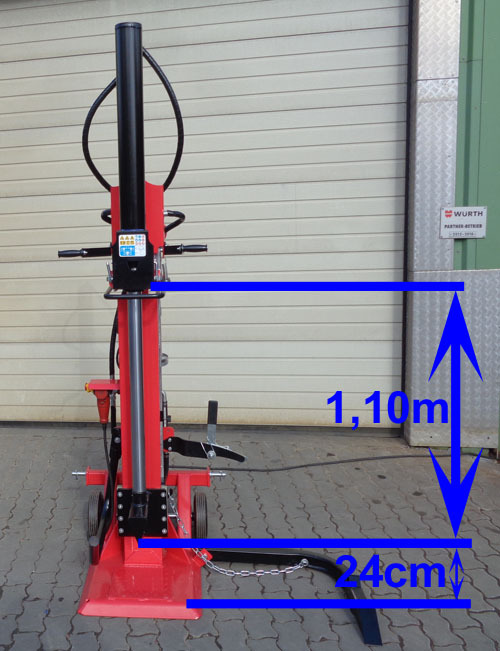 However, one should note the weight ratio tractor to wood splitter (net weight of 269 kg). 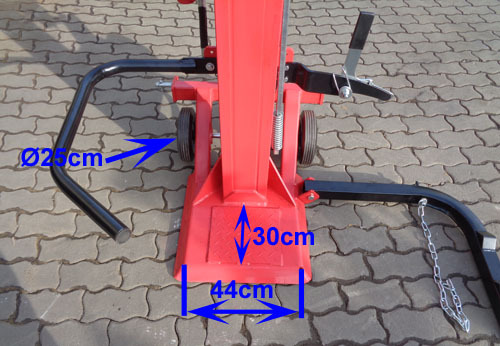 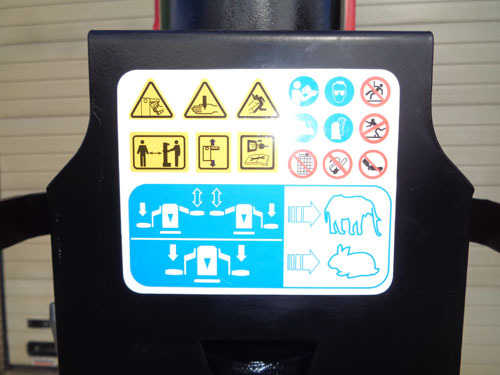 Therefore tractors with a low weight should be equipped with a front loader or front weights so that the tractor does not tilt when lifting the log splitter. 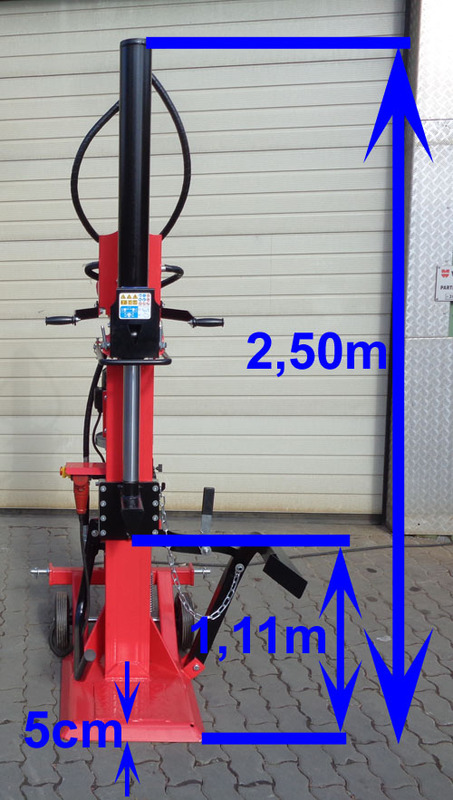 A short table for wood is available for 199.00 Euros and a 4x cross wedge for 99,00 Euros.